A Spirit Guide is a spirit that comes forth to guide you through the trials of your life and to help you to understand the lessons that these experiences are there to teach you. Spirit Guides often represent archetypes of behavior for facing the challenges of life and they serve as paradigms of comportment for you to emulate in times of crisis. 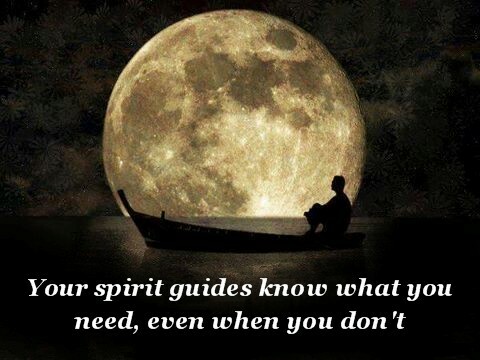 The number of spirit guides one has various within each person's needs in facing their challenges on their journeys. Some may be with you throughout your entire life and some may appear only once to help at one particular fork in your spiritual path. Spirit guides can go by many names and appear in many guises and they will come to serve you as benefic helpmates and protectors in times of moral uncertainty. 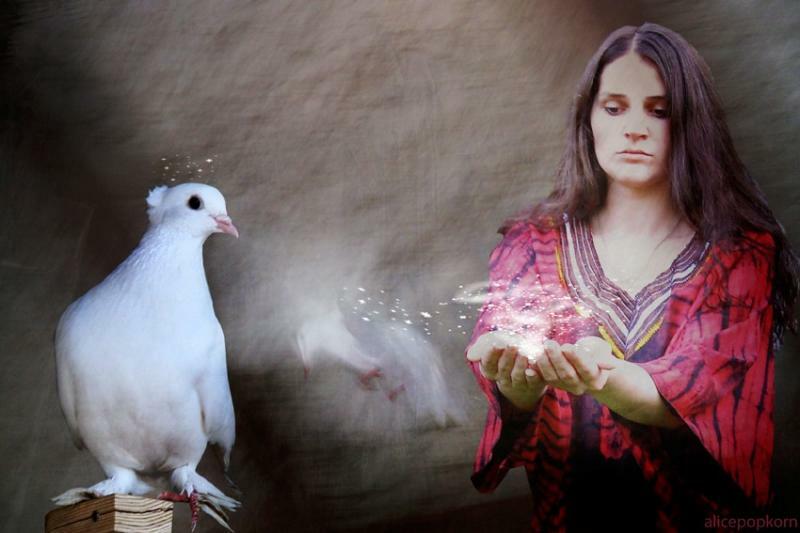 Spirit Guides may be someone from your past who owes you a sort of karmic debt. One type of spirit guide found in folklore throughout the world is that of “the grateful dead” (grateful ghost). The most common story involves a traveler who encounters a corpse of someone who never received a proper burial. The traveler then respectfully buries the corpse and the traveler is later rewarded or has their life saved by a person or animal who is actually the soul of the dead person. Considering how many of us as children would hold elaborate funerals for a dead bird we found, that might shed light on why so many people have bird spirit animals watching over them. Some may be spirits who have had physical incarnations, or they might be spirits who have never taken corporeal form. They may be people or animals that have crossed over from this plane of existence, entities from the spirit realm or from other dimensions. Spirit guides may be, from the perspective of quantum physics, an unrealized form of conscious energy capable of interaction with the material world. Besides appearing to you directly, these spirit guides will often work subtly, by creating synchronicities to bring you into greater awareness, sending people into your life or arranging for you to be in the right place at the right time to witness some unrelated event that provides revelations about your own experiences. So be aware of everything going on around you, no matter how seemingly mundane, for your “lesson” may not come with a shout, but with a whisper in the wind. Of utmost importance to note here, if you are being drawn to the calling of any animistic, Nature or Earth based spirituality of the “Old Religions” such as Paganism or the Craft, whatever incarnation your spirit guide may take, may be to serve as an emissary of the Goddess Realm. A guiding and protecting Goddess Herself will often appear to Her chosen initiate in the form of a animal spirit and She will reveal Her true self only after the initiate is ready and willingly accept and embrace Her calling and ﻿becomes commited to manifesting into an “enlightened being" themselves. but more importantly one in a position to pity and help mortals. It must be counseled here that although Spirit Guides may appear in many guises and in many ways, one should act not just with discernment, but also with discrimination when calling upon “guides” in times of adversity. Often those who attempt to connect with spirits through such methods as the use of Ouija boards may draw forth beguiling, but malefic entities appearing in such pretense as that of angels, saints or other so called ascended masters whose real intent is not to guide you to where you are meant to be, but seek to divert you from your true path. AND … although you may be drawn to seeking guidance about your spirit guides from mediums, psychics or other “intuitive counselors”, you can never be sure if that person, even with the best of intent, is not being “beguiled” by some spirit themselves. So be wary and try to use your best judgment in deciding who you seek advice from about your spirit guides. Your true spirit guides will get through to you, even over the distracting clamor going on around you, even when it is you causing all the clamor. Being human we can sometimes be obstinate and often down right petulant if we do not get what we want. Spirit guides do not come to help us get what we want, the come to help us get what we need. Sometimes, if we are too stubborn to let go of our egos, a spirit guide, like the coyote spirit animal or the Hopi trickster god Kokopelli, will often trick us into taking a path we think is going to lead us to where we want to go, only to guide us to where we need to be instead. If that happens, we should not be unhappy at being tricked. We should be grateful that some benevolent spirit has taken pity on a poor fool and guided us get to where we needed to be, despite ourselves. A malevolent spirit might have taken us to where we wanted to be only then to discover they have brought us to a place we were not meant in order to be to keep us from reaching where we need to be.